The force – like many across the country – already allowed female officers to wear the hijab. Assistant Chief Constable Angela Williams said: ‘For the last month we have been trialling a new uniform for women which is designed not to show the female form. ‘This was suggested by a Muslim female officer and was designed by our Clothing Manager in conjunction with the officer. ‘The tunic is a looser and longer fit, and has full sleeves. 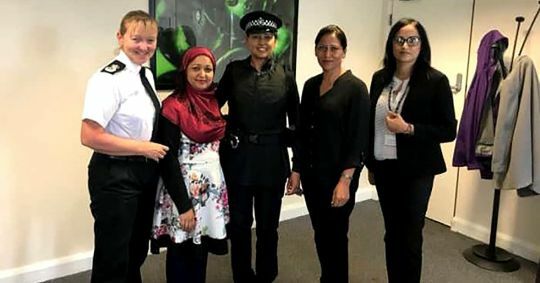 ‘This has been well-received from officers in the force and we have now made further supplies of this uniform for other officers to trial it if they wish.’ Bradford-based PC Firzana Ahmed became the first to wear the new uniform which, she said, had attracted ‘positive feedback from the local community’. Ms Williams added: ‘I hope this uniform will encourage people from underrepresented groups to consider a career in policing if they had previously been put off joining the force due to the uniform. 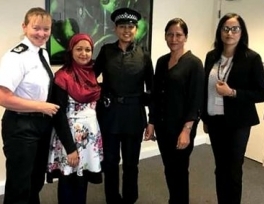 ‘We are open to suggestions from all communities on how our uniform can be styled to better suit their needs.’ West Yorkshire Police and Crime Panel had quizzed police chiefs on Friday about what they were doing to boost the number of BAME recruits. Panel member Roger Grasby said the force had seen some success in boosting the number of staff who were female, disabled or lesbian, gay, bisexual or transgender (LGBT) but ‘less so with BAME’. The proportion of its workforce from a BAME background increased marginally from 5% in 2015 to 5.6% this year.